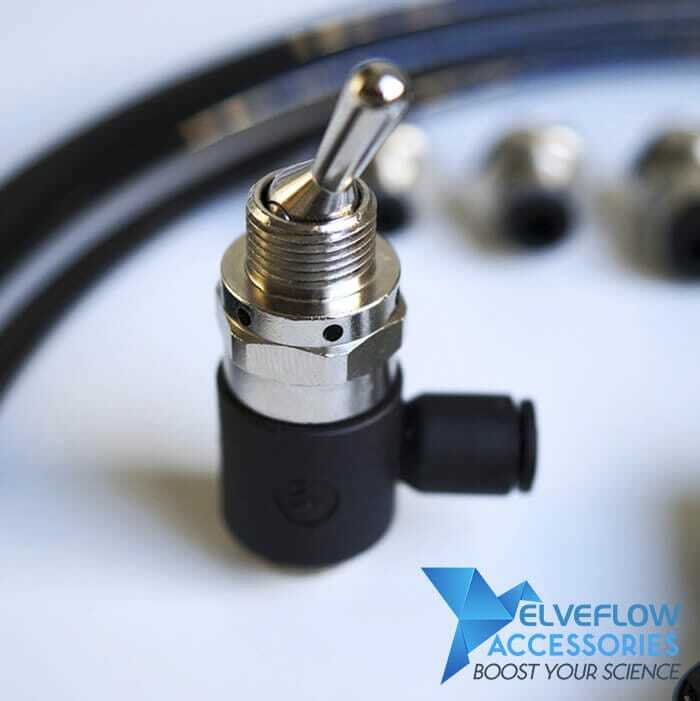 Designed to connect the elements of your setup (manifolds, reservoirs, bubble trap) to a pressure source and to the liquid flow. 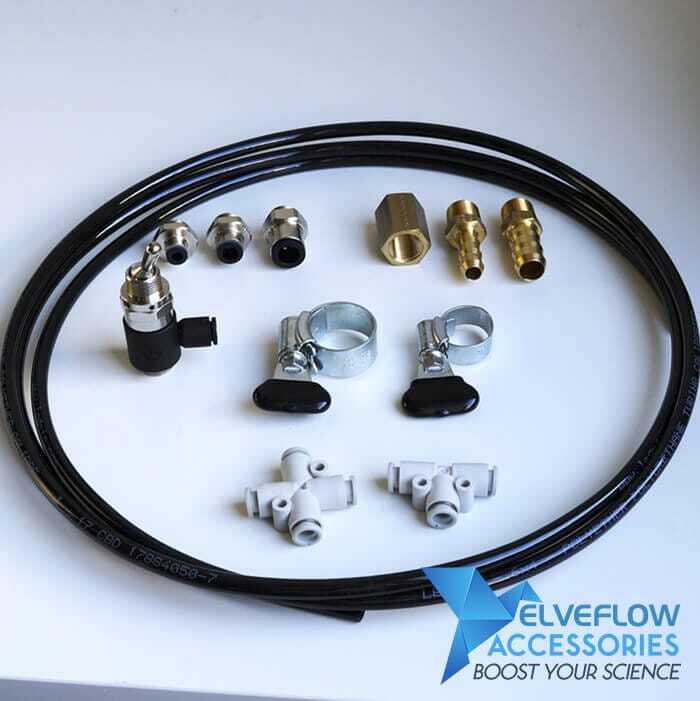 Kit Contents 1- Teflon end fittings + ferrules with 1/4″-28 thread for 1/16 OD Tubing (x10).2- 1/4″-28 UNF Thread to 3/32″ ID Barb (x10). 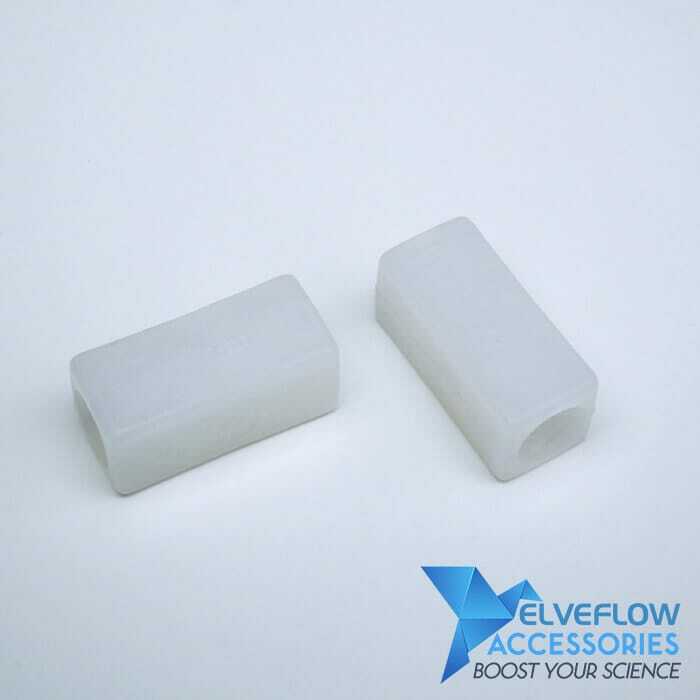 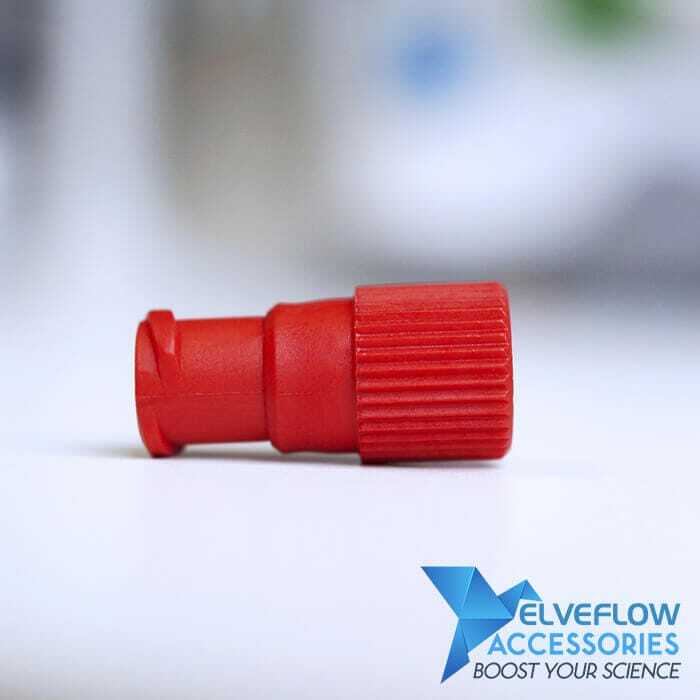 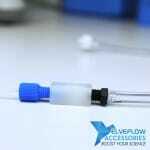 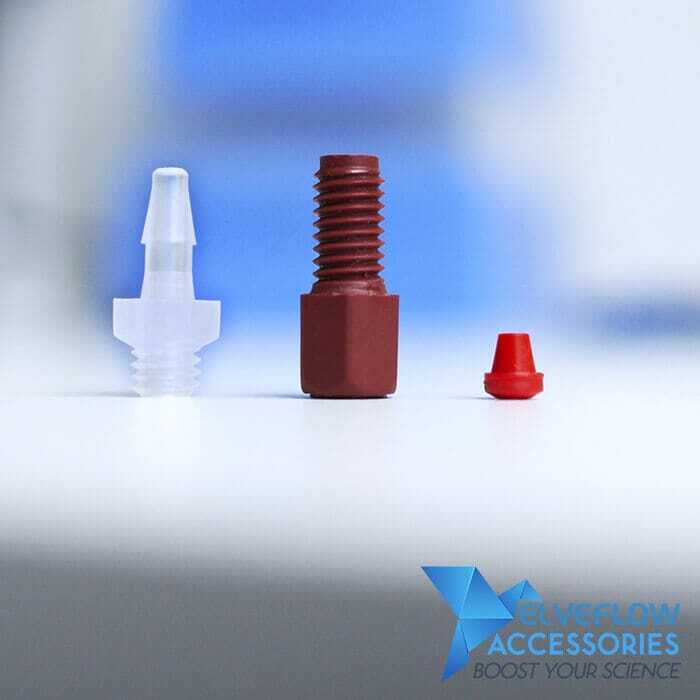 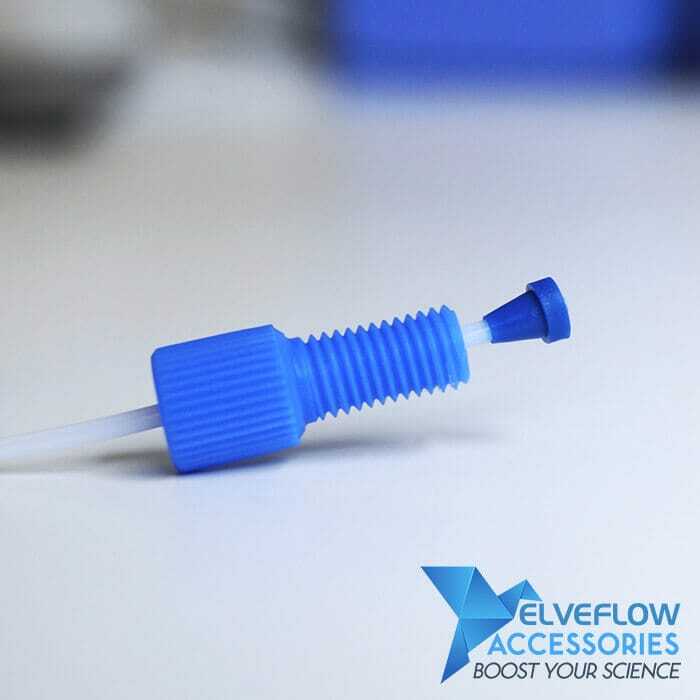 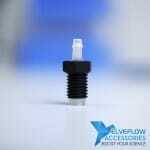 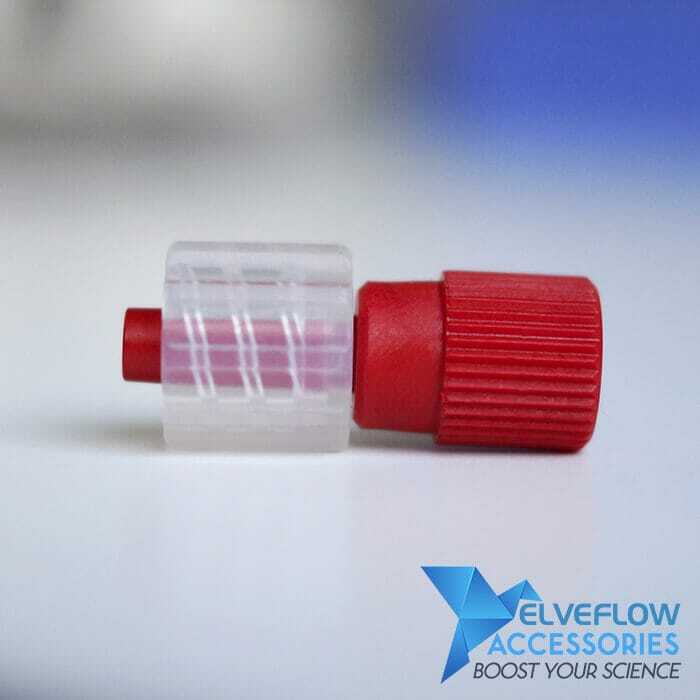 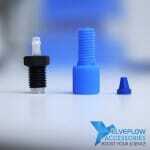 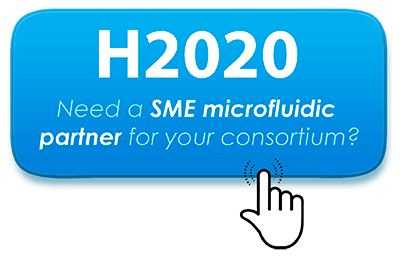 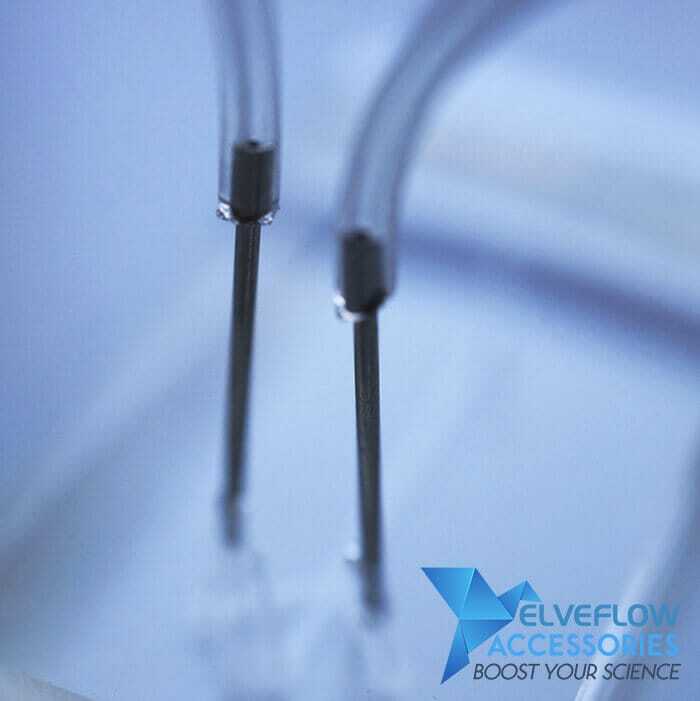 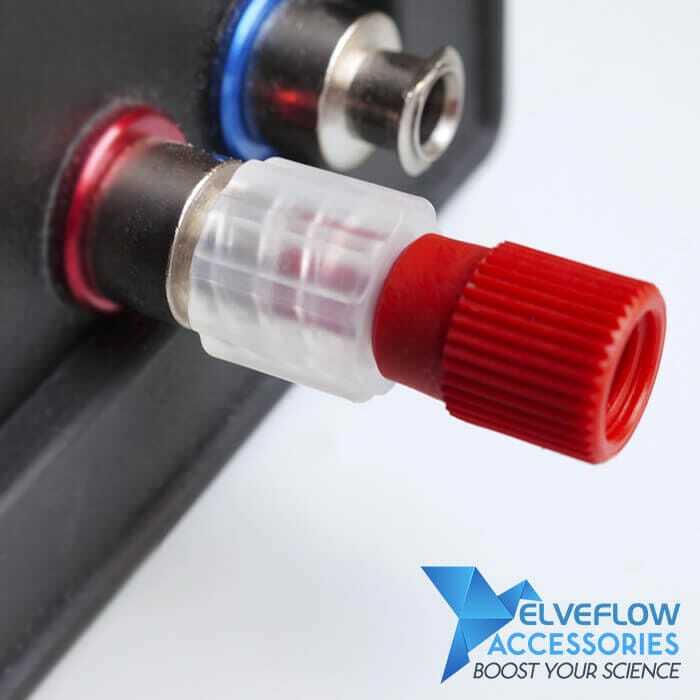 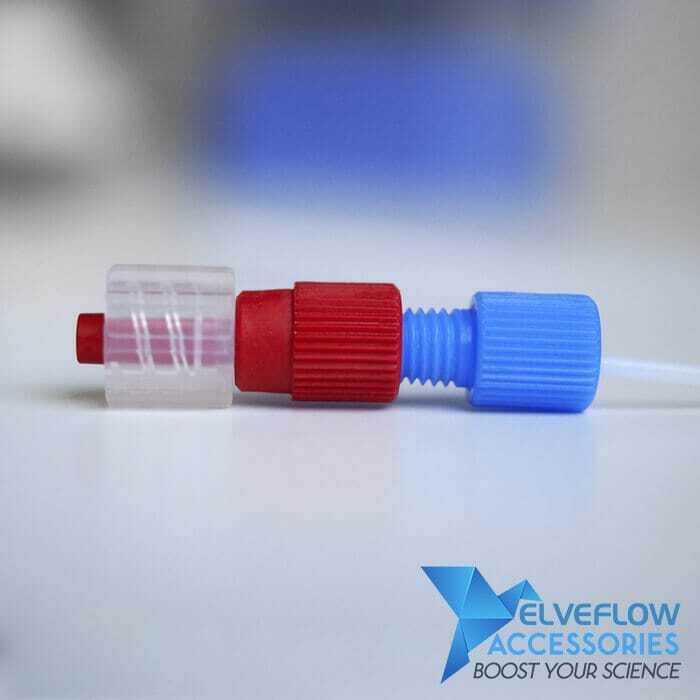 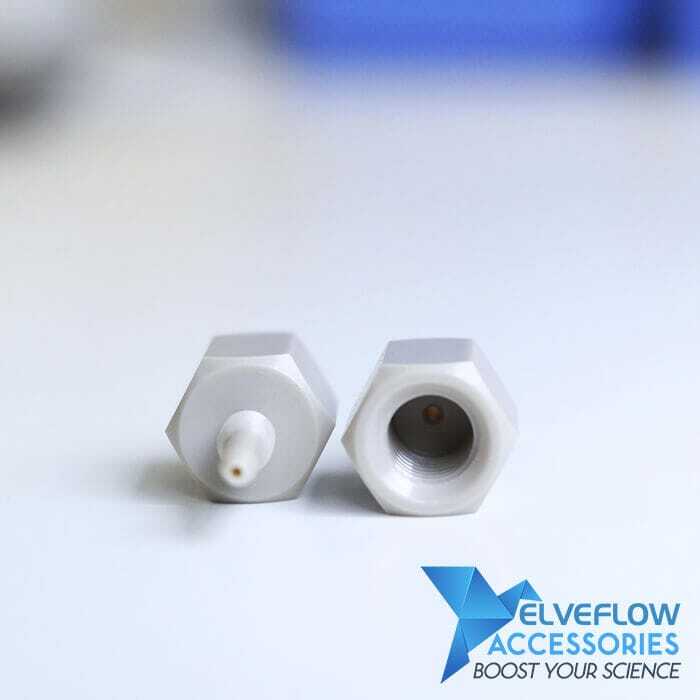 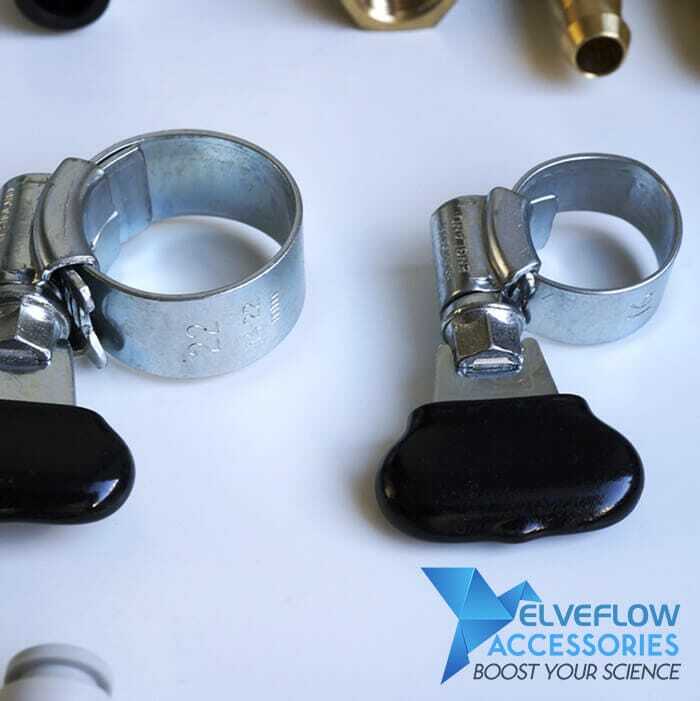 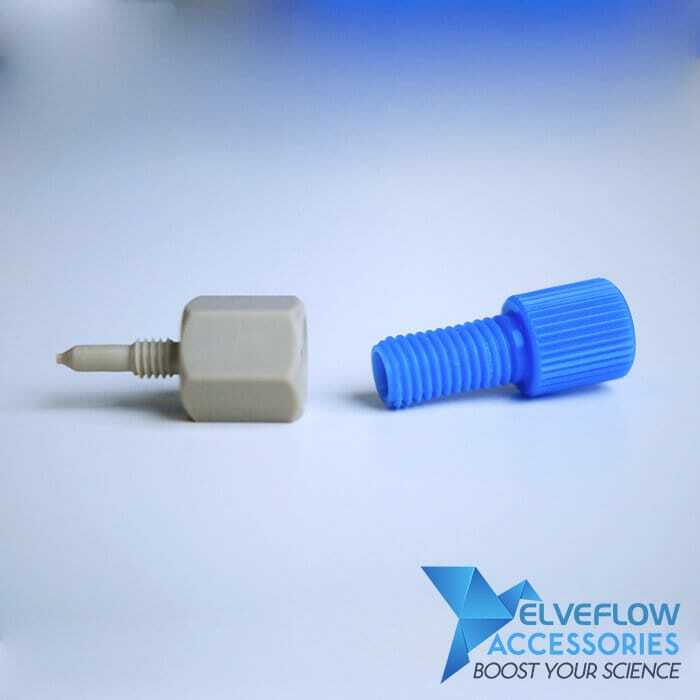 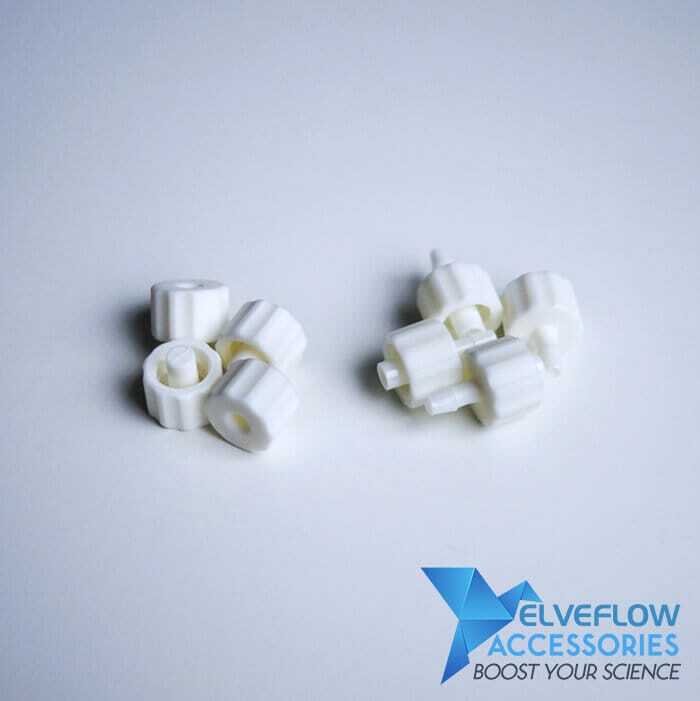 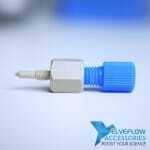 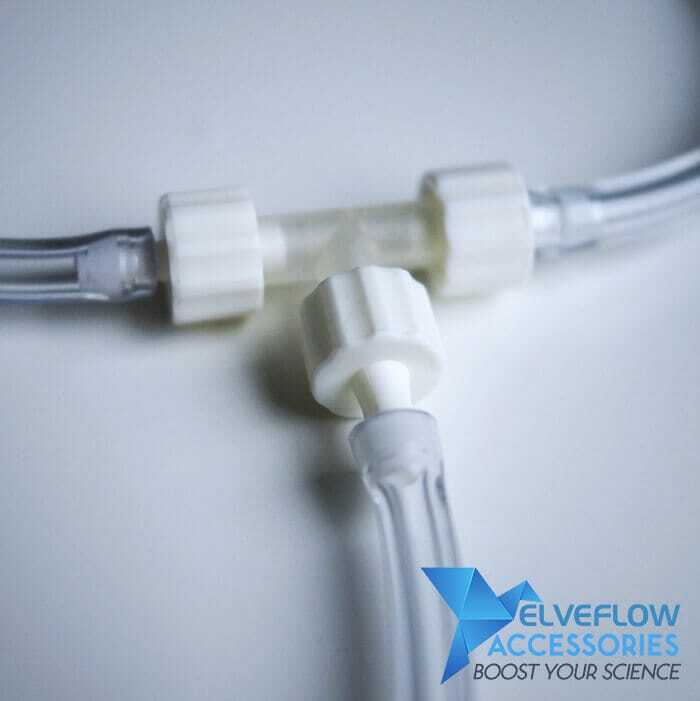 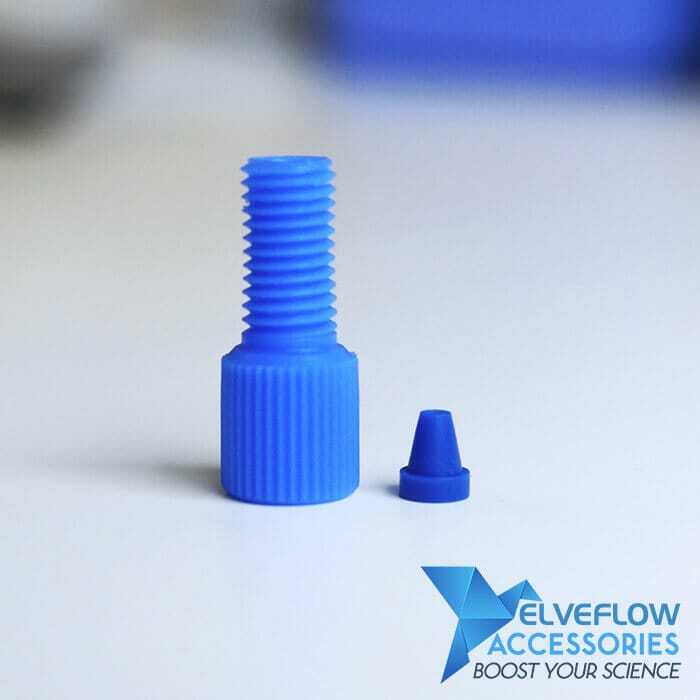 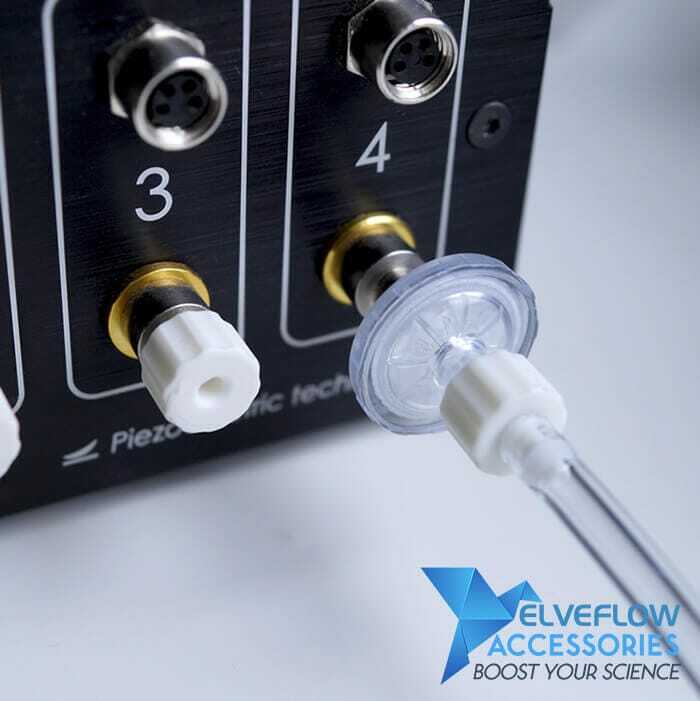 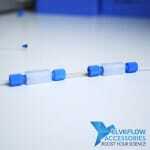 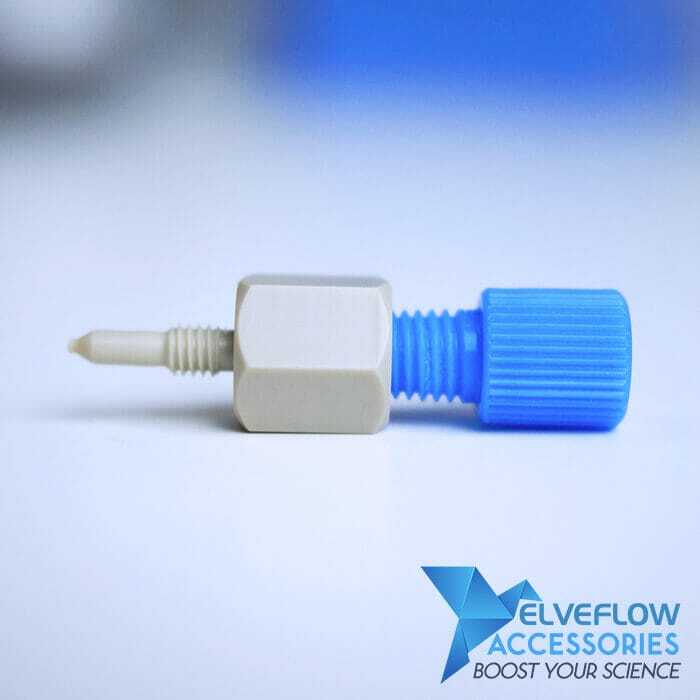 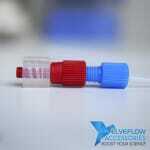 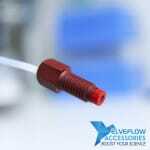 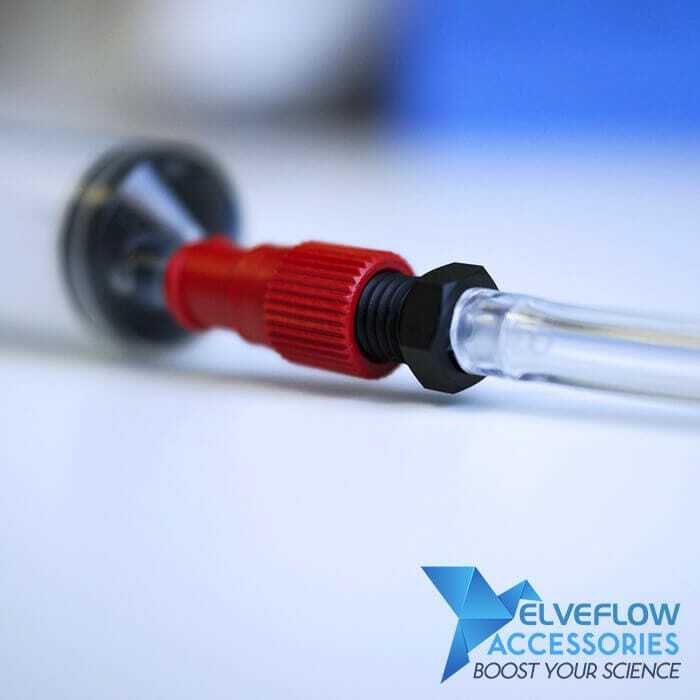 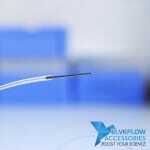 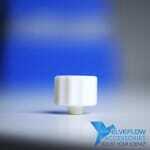 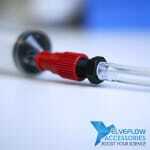 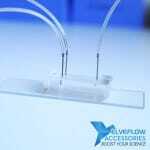 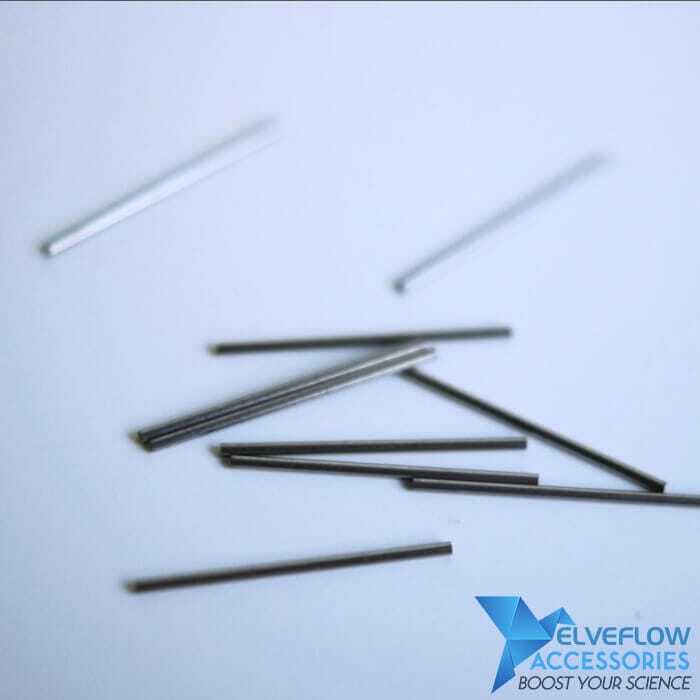 Send an email to ELVEFLOW Microfluidics Accessories Tech Support. 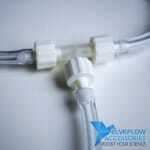 Block /Connect a female Luer Lock outlet to 3/32 ID tygon tubing. 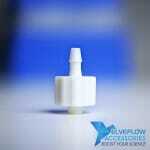 Kit Contents 1- Male Luer Integral Lock Ring Plug (x10). 2- Male Luer Integral Lock to 3/32″ OD Barb (x10). 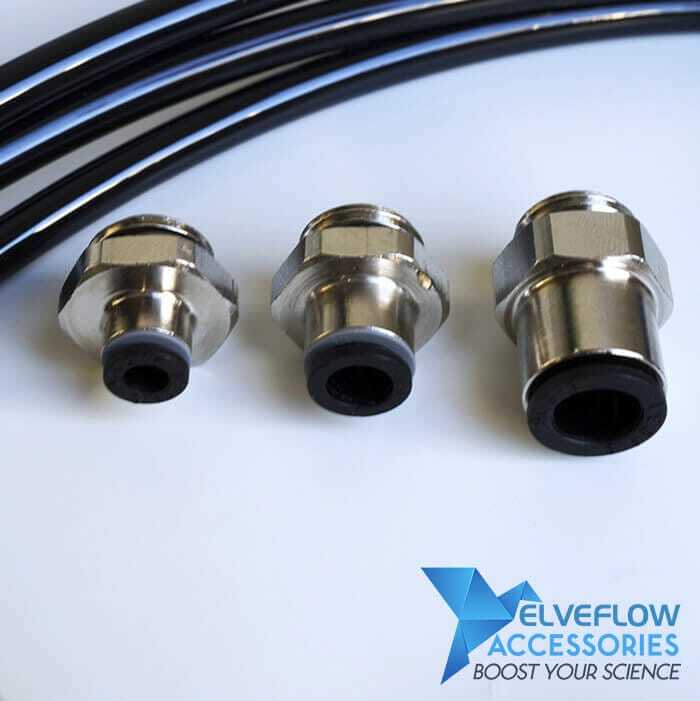 Connect 1/16″ OD, or 3/32″ ID tubing to 10-32 threaded elements. 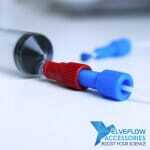 • Designed for 1/16 OD tubing and 3/32 ID tubing. 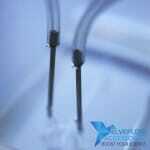 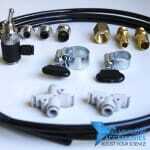 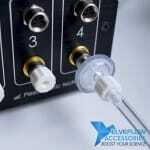 Kit Contents 1- 10-32 UNF PEEK Fitting for 1/16″ Tubing with ETFE Ferrules (x10). 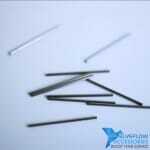 2- PP 10-32 UNF Thread 3/32″ OD Barb (x10). Connect any male Luer Lock outlet (e.g. syringe) to 1/4-28 elements. Kit Contents Female Luer ETFE Adapters (x5). 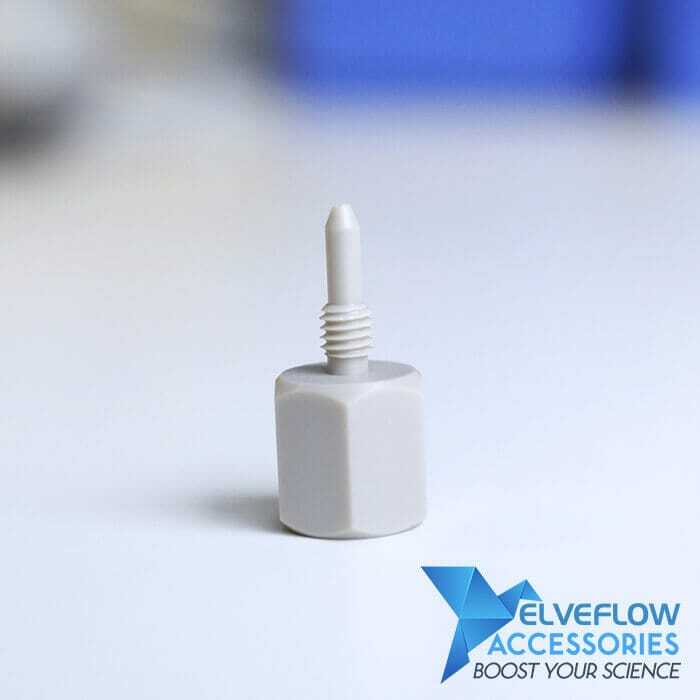 Connect a female Luer Lock outlet (e.g. OB1 pressure outlet) to 1/4-28 threaded elements. Connecting soft tygon tubing to your PDMS chip. 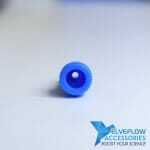 • Designed to be used with with Tygon tubing 1/16″ OD x 0,51mm ID. 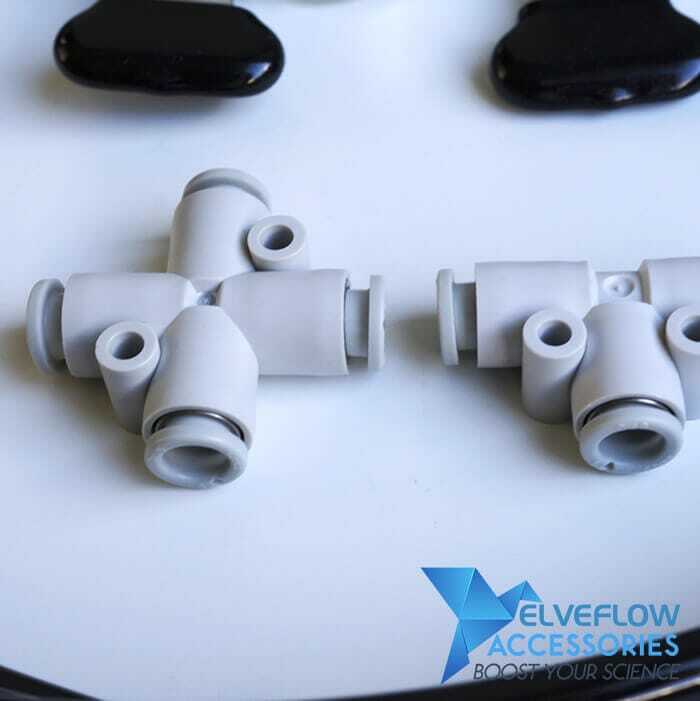 Convert any UNF 6-40 Fluid Connector Port to a ¼-28 flat-bottom for 1/16” or 1/8” OD tubing. • Compatible with standard 1/4-28 fittings. Connect different elements (e.g. 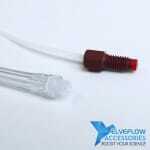 tubing type) with 1/4-28 fittings. 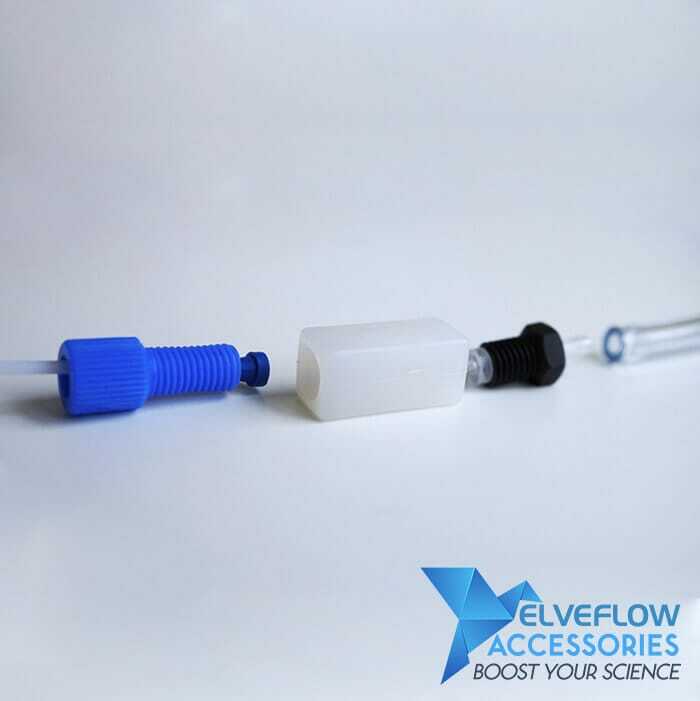 Connect pressure or vacuum source to your setup. 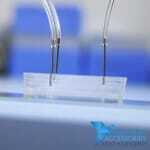 You may find what you’re looking for in the Frequently Asked Questions.